Nationwide Recovery Services NRS is a default management platform that digitizes the recovery process and brings efficiency, control, and transparency to both internal and external collections efforts. Using automated workflow management, NRS allows lenders and mortgage insurers to monitor and benchmark the productivity of internal staff and the third-parties involved in the recovery process, and easily collaborate with staff and suppliers leading to faster turnaround times and greater efficiency. Headquartered in Canada and operating across the country, NRS is also available in 17 countries across the Caribbean and Latin America. NRS is an integral part of The Nationwide Group of Companies (TNG). TNG began in the appraisal industry, through the creation and growth of Nationwide Appraisal Services (NAS) – a best-in-class, industry leader in real estate valuation services and appraisal management technology. For over twenty years, TNG has been a pioneer of outsourced financial services software and has expanded into an array of relevant industry verticals across Canada and internationally. TNG focuses exclusively on building and providing comprehensive and customizable solutions to the real estate and mortgage industries. TNG helps financial institutions and the broader lending community manage and mitigate their exposure to inherent business and financial risks. Across our divisions, there are strong commonalities at our core: a forward-thinking management team, significant market share, a pursuit for excellence in everything we do and a commitment to exemplary service to our clients. Tammy Soliman joined TNG in January 2009 and successfully transitioned all technical development and support capabilities from an external IT solutions group to be permanently managed in-house, and has been instrumental in building the organization’s IT development team. 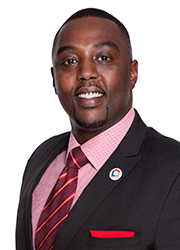 Eric Kayigamba joined the senior leadership team in the capacity of Sales Executive Vice President. Over the years, he has carried out the strategies to develop our valuation and recovery businesses through the operations of Nationwide Appraisal Services (NAS) and Nationwide Recovery Services (NRS). In his new role, Eric continues his focus to expand our existing business and lead our new initiatives in Canada and globally. Eric first joined NAS’ team in 2007 as an Accounting Lead. 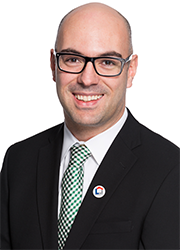 His leadership, expertise, passion for excellence as well as his enthusiasm soon led him to the position of Quebec Regional Sales Manager and quickly catapulted him to Vice President, Eastern Canada. As Vice President of Eastern Canada, he was responsible for shaping and carrying out strategies for NAS and its sister company Nationwide Recovery Services (NRS) in Quebec and Atlantic provinces. Eric received a Bachelor’s Degree in Business Management with a specialization in Finance at Université du Québec à Montréal. Upon completion of his studies, he entered the public sector in the Province of Québec where he amassed many years of experience and occupied several positions related to accounting and finance. 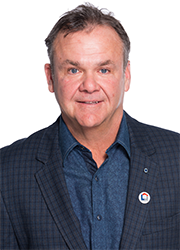 In his spare time, Eric is very involved in his community as he’s currently sitting on the Board of Directors of Partage Action / West island Community. Colleen joined TNG in 2015 and brings a fresh perspective to Human Resources Management within the organization. Her passion for developing organizations, teams and people allow Colleen to play a key role in supporting TNG’s growth. Colleen brings over 20 years of HR Management experience in the IT, Manufacturing and Environmental industries. Colleen’s areas of experience and expertise include: HR project management and implementation, employee and labour relations, compliance and legislation, full cycle recruitment & selection, change management, coaching and organizational development. Hermina a rejoint Nationwide Appraisal Services en 2007 et a acquis une vaste expérience en comptabilité et en gestion financière ainsi que ses points forts en économie, gestion des processus et planification stratégique. Aujourd’hui, en tant que directrice des finances du groupe Nationwide, Hermina veille à ce que la gestion globale du service de la comptabilité s’aligne sur les objectifs à long terme de l’entreprise, à mesure que l’entreprise grandit. Avant de rejoindre Nationwide Appraisal Services, Hermina a occupé des postes de comptabilité et de finance dans des entreprises du secteur privé en Europe de l’Est, tout en poursuivant ses études pour obtenir sa maîtrise en développement des affaires. Hermina détient les titres professionnels de CPA et CGA. 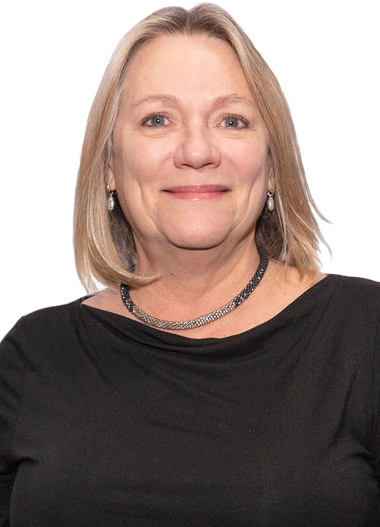 Ella joined Nationwide Appraisal Services in 2001, and has been instrumental in evolving the company’s product line to build what is now The Nationwide Group (TNG). 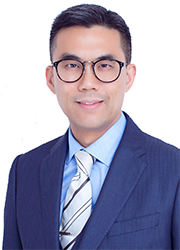 Robert Ip joins the Nationwide Group of Companies as a senior member, reporting to the President of Nationwide Home Closing, and Nationwide Recovery Services. Robert is responsible for strategy, new initiatives & development, and leadership of TNGOC’s strategic partnerships, lender community, and real estate professionals both domestic and international. 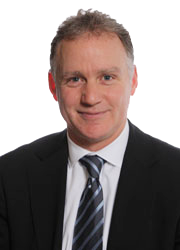 Robert has over twenty-five years of financial services and management experience, with over 10 years of indemnity insurance experience in various senior management, and business development roles. Robert is passionate for developing resourceful solutions that assist organizations with their growth and development, while focusing on a seamless customer experience promoting customer loyalty and brand affinity. Robert holds a Masters of Business Administration from Queen’s University (2008). And has earned his certification as a Certified Management Consultant in 2016. 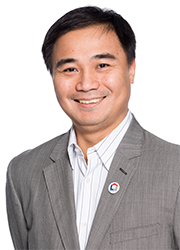 Robert is a Chartered Professional Accountant (2014), and a Certified Management Accountant (2011) in Canada. 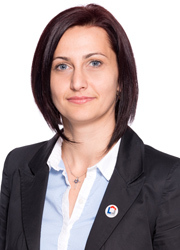 Elsa brings over 20 years’ experience in the financial service industry. 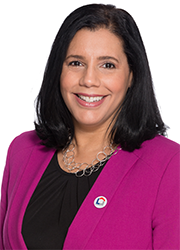 As a financial professional, working with Canada’s largest mortgage insurance provider, Elsa held leadership roles in National Strategic Client Management, Underwriting Operations, Community Development, International Relations, Marketing and Communications as well as Default Management. 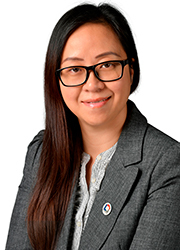 As a dynamic leader with excellent interpersonal skills, Elsa will continue to build and maintain strong alliances with key clients to drive strategic objectives for all The Nationwide Group (TNG) business lines in current and future markets. Deb Seeler joined NAS as an Account Manager in 2004 after a twenty-year career with a major Canadian Financial Institution. Her background includes various management roles in retail banking, with an emphasis on mortgage lending and credit. Deb’s extensive careers in both banking and appraisal management gives her a unique insight into the industry and the ability to provide her clients with service and solutions specifically tailored to their needs. 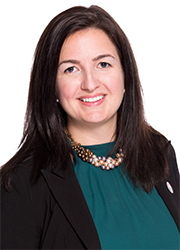 As a NAS Account Executive over the last 10 years, Deb has managed the Head Office relationships with both TD Canada Trust and Scotiabank and was instrumental in the launch of Scotia International. Patrick brings to NAS more than 20 years of experience in the financial services industry and a breadth of market knowledge and expertise to the Nationwide team. 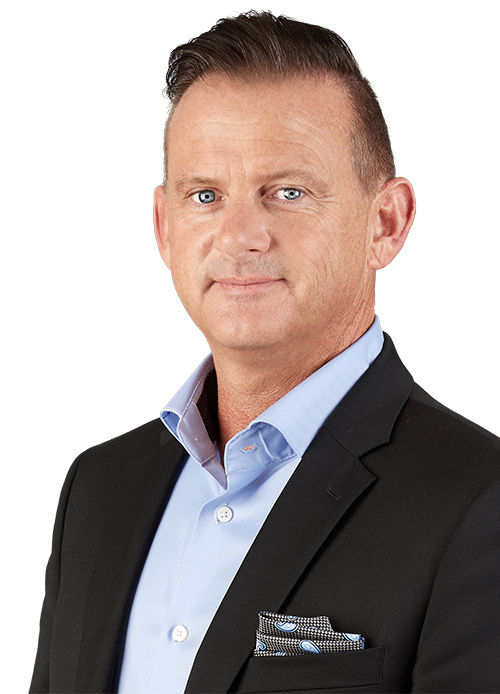 Patrick is a passionate and customer centric professional dedicated to excellence in client solutions. His experience includes Business Development, and Retail Lending with Leading financial institutions, as well as Sales and Operations Management with a focus on Appraisal and Risk Management at Solidifi. Patrick is leading Regional Sales efforts for Western Canada. 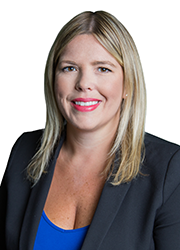 Kate Townshend has over 9 years of Experience in the Real Estate Industry in Ontario and Quebec. She has also worked as a National Account Executive In the advertising and broadcasting field. Kate understands the fast-paced Toronto market and believes that constant communication is the key to success. Kate is able to provide her clients with industry knowledge, as well as offer unrivalled client service. Her priority is to exceed client’s expectations! Elizabeth has over 15 years of experience in client relations. In the past, she worked for different financial institutions as a mortgage representative. 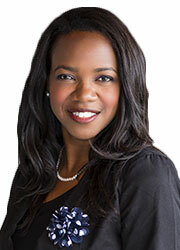 She understands the mortgage market and are able to identify customer needs and exceed client expectations. Elizabeth is a bilingual, dynamic professional with strong interpersonal skills who only has the best interests of her clients in mind. Elizabeth believes in a continuous-improvement approach to deliver a superior client experience. 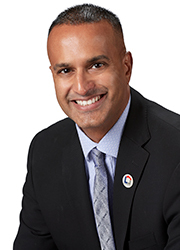 Rudy Naraine has over 15 years experience leading and growing business units through strategic account and relationship development. 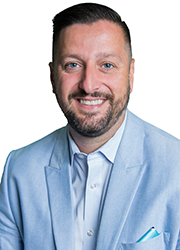 He is a highly energetic individual with a passion for assisting his clients, and has worked for organizations in both the Canadian and U.S. mortgage industry. Rudy brings with him a broad base of experience across sales, marketing, operations and customer service.